Looking for that perfect gift? 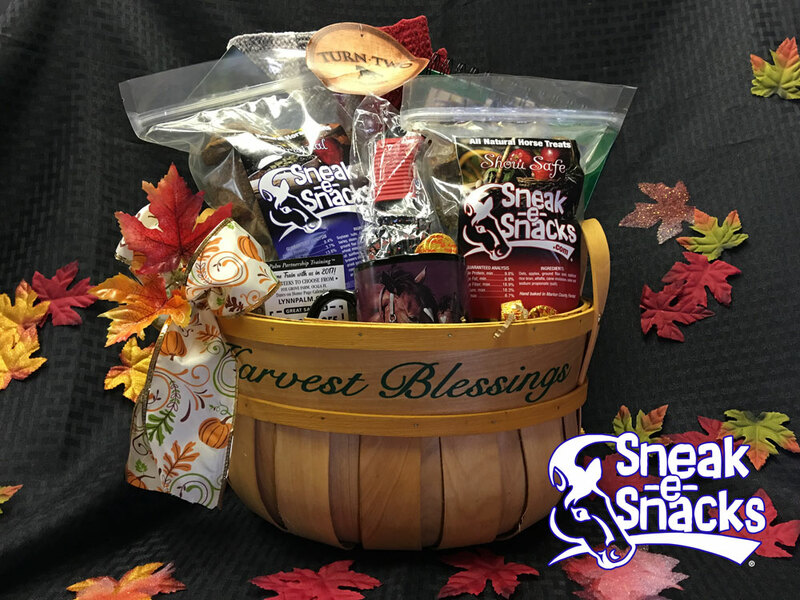 How about a Sneak-e-Snacks® Custom Gift Basket! 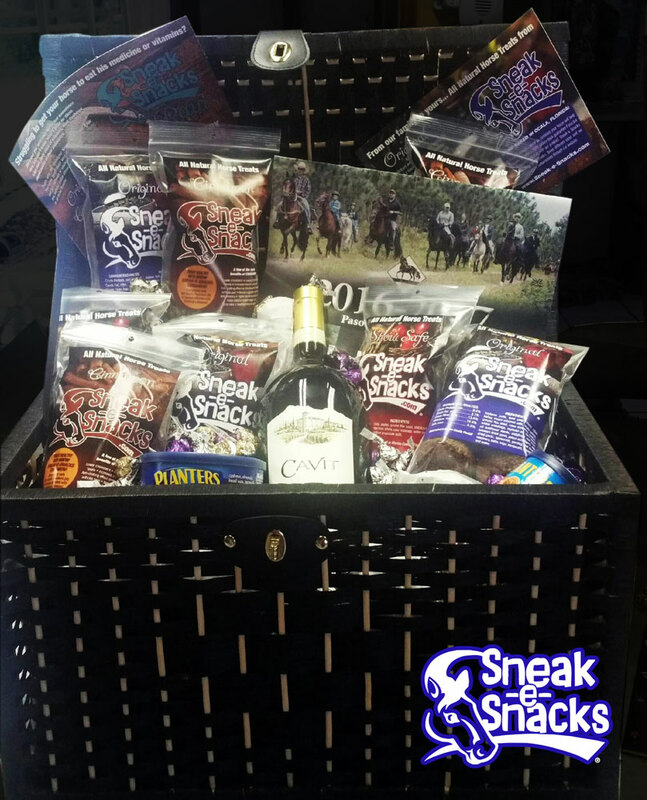 All custom gift basket pricing includes shipping within the continental U.S. Please allow 10 days for assembling and delivery. 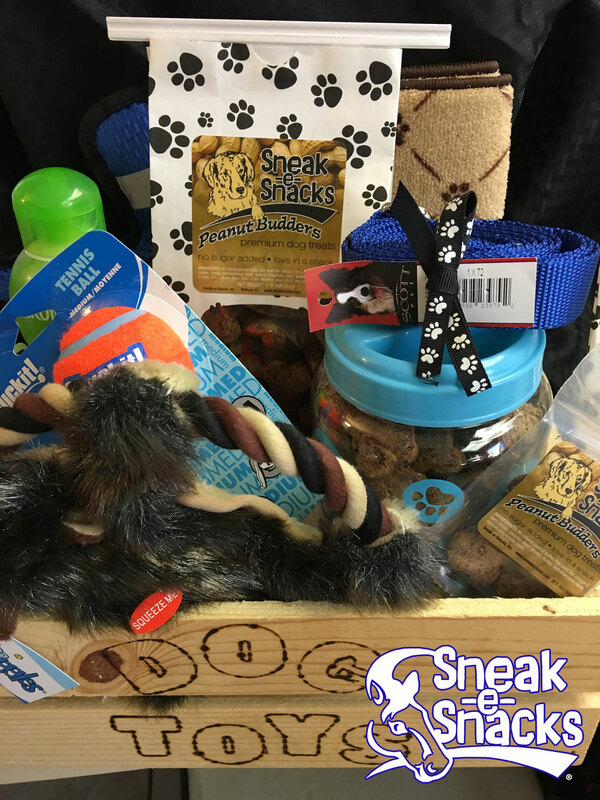 We’ll fill up a beautiful container with your choice of Sneak-e-Snacks Original, Cinnamon or Show Safe All Natural Horse Treats, and/or Peanut Budders Dog Treats, add a few goodies to make the human happy, dress it all up and ship it safely to arrive by your chosen delivery date, all for one price! 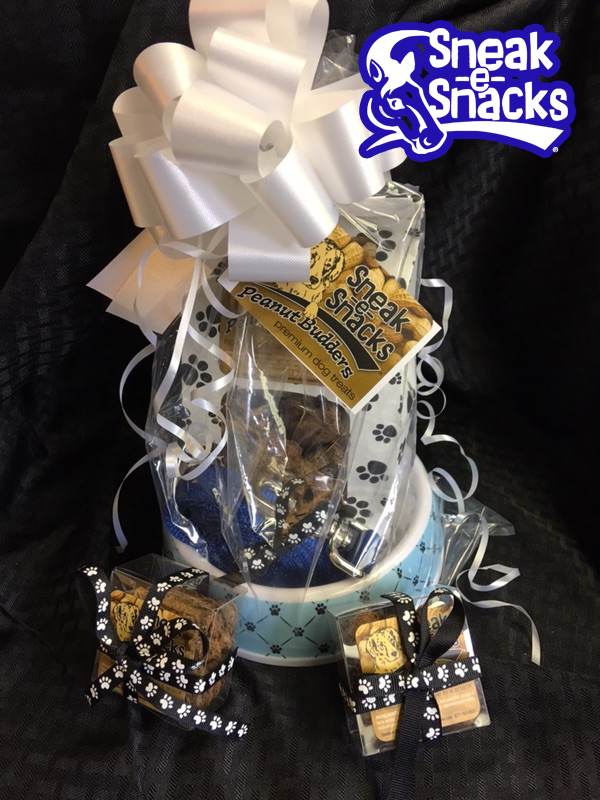 If you have a special occasion, we have the perfect basket! 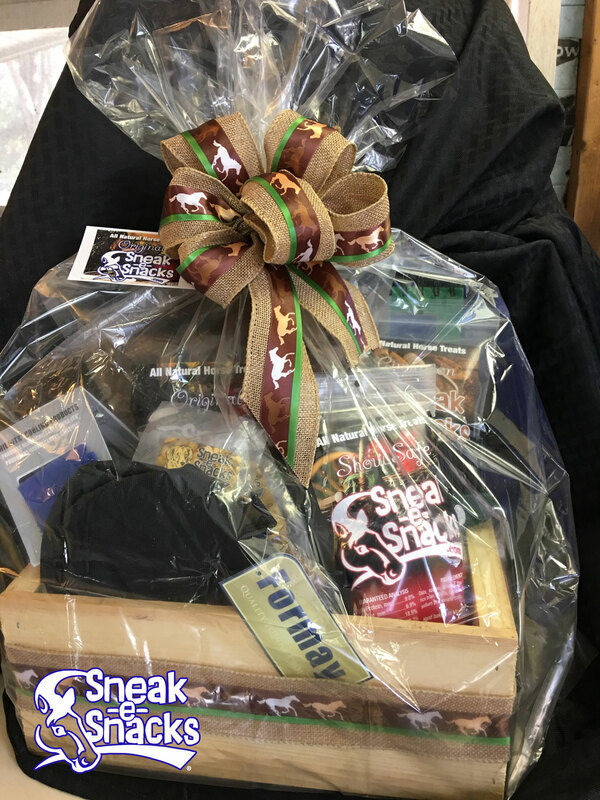 Just use the special order form below to create your custom basket and we will build it and wrap it and enclose a gift card and ship it to your lucky recipient! 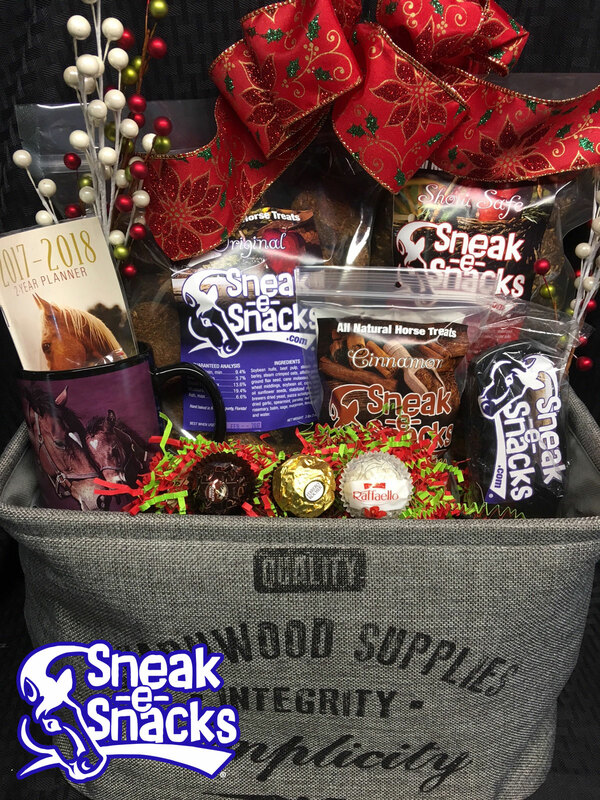 Use the form below to give us all the information we need to create your custom basket and get it to your recipient on time.